Economic development agency ATEED says there has been little additional cost to the organisation. Chief executive Brett O'Reilly said it was his idea to offer Grant Jenkins the role in a one year pilot to try to lure skilled workers from the UK and attract foreign investors to Auckland. The contract carries a $196,000 salary, the same that he was being paid before resigning as Head of Strategic Initiatives to move to London. The agency said he was not replaced in Auckland. Councillor Cameron Brewer has described Mr Jenkins' contract as an "absolute racket that needs to be shut down immediately." However Mr O'Reilly said four months into the contract there were signs of progress, with a significant UK-based investor Mr Jenkins had been working with due to visit in a fortnight. He said he saw Mr Jenkins' decision to return to London as a golden opportunity for ATEED. The UK is a prime potential source of highly skilled technology workers, badly needed in Auckland. Mr O'Reilly said ATEED opted to pay relocation expenses of nearly $20,000 because the agency needed Mr Jenkins in London earlier than would otherwise have occurred. 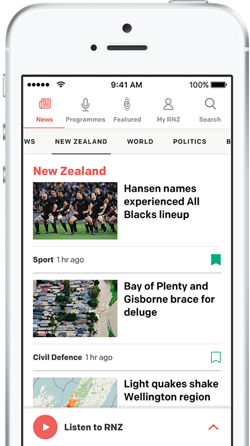 One of his first roles was to attend the start of the Volvo Ocean Race in Alicante, Spain, a race that Auckland hosts from this weekend as one of its major events for the year. "I would normally have had to fly someone from here to be at that event, so it has probably saved us quite a bit already," said Mr O'Reilly. ATEED says there was been agreement from Tourism New Zealand, and the Ministry of Foreign Affairs and Trade to work in co-operation with Mr Jenkins in London. He works in the London office of Tourism New Zealand at a cost of $15,000 to ATEED. Mr O'Reilly said he made the decision not to publicise the move at the time, because it was a 12-month pilot and he wanted to see how it worked. He said putting Mr Jenkins into the role was far cheaper than using an agency to help recruit a UK-based contractor for what may turn out to be a 12-month contract. 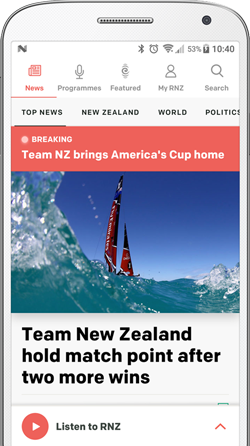 Brett O'Reilly said the presence of ATEED employee Pam Ford in San Francisco came about because MFAT wanted to hire her to work for them in the city, following her role in the agency's trade promotion work in the 2013 America's Cup regatta. He said Ms Ford did not want to leave ATEED so the agency paid a portion of her salary, and she did some work for Auckland. Auckland Council has also moved to explain the presence in Spain of two technical staff employed by Auckland Transport, at the cost of $180,000 a year. The pair's three-year contract parallels the $500 million production by the Spanish firm CAF of electric trains for Auckland. Their work includes signing off each of 57 trains which are produced at the rate of one a fortnight. Their work ends in March after the last train is shipped to Auckland. Auckland's mayor has today been briefed on a decision by the council development arm Ateed to create a special contract for a former executive now living in London.